Irish intervention stocks are almost at 4,000t after more skimmed milk powder (SMP) was offered to the measure for the week ending February 7. Last week, Ireland offered a further 626t of product to intervention, bringing the total for 2016 so far to 3,899t. This follows on from the week previous when 1,796t of SMP was offered, figures from the Milk Market Observatory (MMO) show. Ireland began offering SMP back into the measure in January and has been offering weekly amounts since then. Last week, Estonia began offering product to intervention for the first time with 24t of SMP offered. There is now 11 countries using public intervention. In total last week, 7,296t was offered to the measure, bringing the total amount of dairy product offered to date to 29,810t. Last year, EU Member States offered over 40,000t of SMP to intervention last year latest figures from the MMO show. Meanwhile, the market returns for Irish dairy products fell again January as dairy markets globally continue in a downward spiral. The Ornua Purchase Price Index (PPI) the monthly indicator of market returns on dairy products sold by Ornua fell another basis point on December returns to stand at 85.7. The January return dropped by 7% on the same month last year and a massive 35% on returns posted in January 2014. 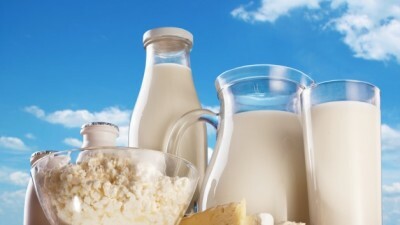 The drop in returns for Irish dairy products followed a drop in global dairy product prices of 7.4% in the most recent Global Dairy Trade auction. This is the third consecutive drop for the auction in 2016. All dairy products recorded declines at the latest auction with whole milk powder (WMP) recorded the biggest deficit with a decline of 10.4%.